Always check the cache page for updated information, and log your Will Attend on the cache page. Please refer to the cache page for information about this family friendly CITO event and for links to a safety video and brochure. That includes all of September, October, and November! Join us on April 13, 2019 between 10-11am (or until done) at the Carpool Lot near Business I-196 and 112th ave near Walgreens. This is a family friendly CITO as we will not be walking along the highway. Children are welcome to attend, but please keep an eye on them for their safety. I will spend a couple minutes going over a few safety guidelines prior to the event. There will be vests and trash bags provided and some trash grabbers, however, if you'd like gloves or grabbers please bring your own. MDOT Adopt-A-Highway would like all participants to watch the Safety video and read the Safety Brochure prior to helping out. There will be a required sign up sheet that I must complete and return back to MDOT. 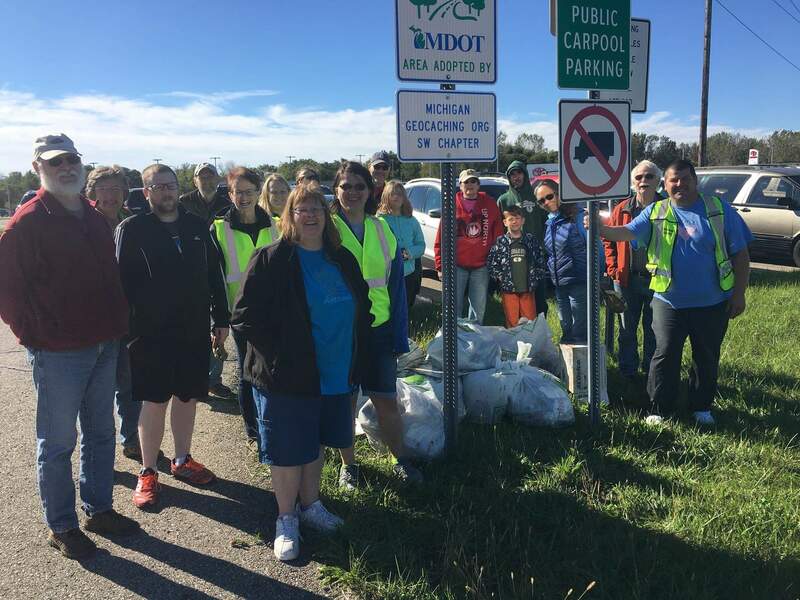 For more information on the MDOT Adopt-A-Highway Program please click here. We hope to see you there!!! There will be a couple new geocaches hidden in conjunction with the event. Also you can check out nearby GC83J9P for another CITO opportunity hosted by CacherX4.